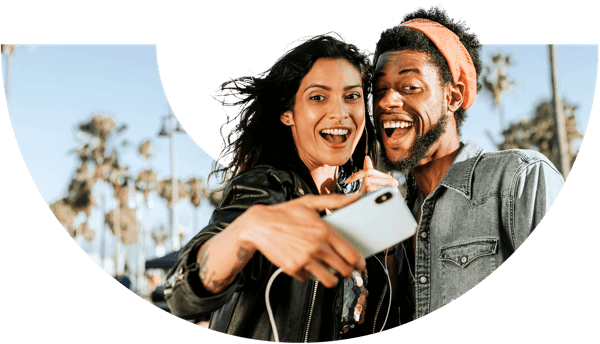 Samsung Galaxy J6 insurance that covers accidental smartphone damage, international travel, unauthorised network charges (up to £1000, VAT inc), theft, loss & much more. We customer-focused insurer that takes insurance to the next level. Why insure your Galaxy J6? Like all the models in the J series, Samsung Galaxy J6 is a budget smartphone that caters to those who want to use their handset more like a mobile phone rather than a portable computer. This, however, doesn't make Galaxy J6 less than an impressive, low cost portable computer. Equipped with a Super-AMOLED display (720 x 1480 res), Exynos 7870 chipset, Android Oreo 8.0, a decent camera and battery and thankfully the good old 3.5mm headphones jack, this is a well-built phone that does well for the price. so-sure's insurance starts from only £6.48 a month - it's easy and affordable to insure your J6. Our Samsung Galaxy J6 cover makes protecting your mobile device a breeze. You'll be fully covered if your phone is stolen or goes missing, with our dedicated team always available to process a claim and get to work on providing a replacement. You'll also be covered for accidental damage, meaning there's no need to worry about breaking your phone's screen, dropping it in water or other common issues. We'll even provide cover for your favourite accessories with a value of up to £100 including VAT. Love to travel? We'll keep you covered with up to 90 days of worldwide cover, letting you travel the world without any extra stress. You'll also be covered for up to £1,000 worth of unauthorised network charges, giving you extra piece of mind if your phone is lost or stolen. Need to make a claim? We aim to provide a replacement phone or carry out a full repair within 24-72 hours of approving your claim, letting us put a working mobile device back in your hands as quickly as possible after any incident. Better yet, we'll help you save money on your insurance, with up to 80% of your premiums as cash back if you and your connections don't need to make any claims at the end of the policy year. Losing your Galaxy J6 can be a hugely frustrating situation, especially if you rely on your phone to keep in touch with friends, family and colleagues. Our top rated rated smartphone insurance makes it easier to bounce back after your device is lost, stolen or accidentally gets damaged. Losing your Galaxy J6 can be a hugely frustrating situation, especially if you rely on your phone to keep in touch with friends, family and colleagues. Our top rated smartphone insurance makes it easier to bounce back after your device is lost, stolen or accidentally gets damaged. Worried about losing your Samsung Galaxy J6? We're here to help. Our hassle-free claims process (and our UK-based claims team) makes it fast and easy to get a replacement if your Galaxy J6 goes missing or is stolen while you’re out and about, running errands or traveling abroad.